Bob Goodman, a rancher in Halfway, Oregon, lost his arm in a freak accident. Researchers at the University of Utah gave him a myoelectric arm, which he controls by flexing the muscles in his arm that are still intact. Sensors on the inside of the prosthetic arm socket pick up the faint electrical signals from the muscles and amplify them to control the robot arm. In this way, Goodman can do most things as he did before his accident. 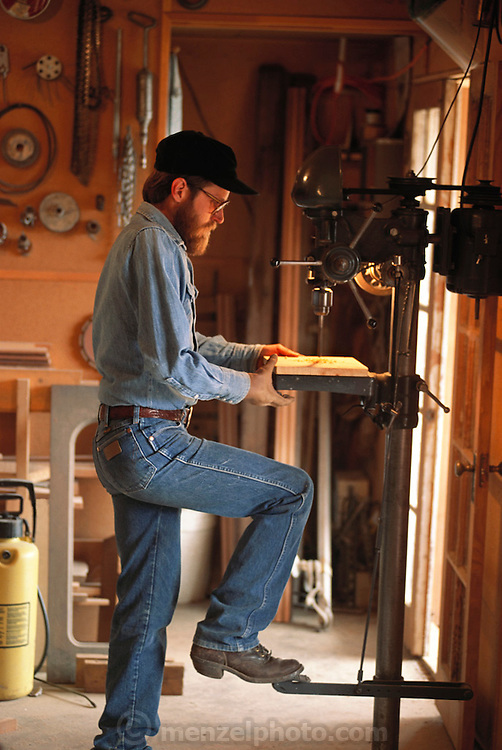 Here he is using a drill press in the workshop in his barn.